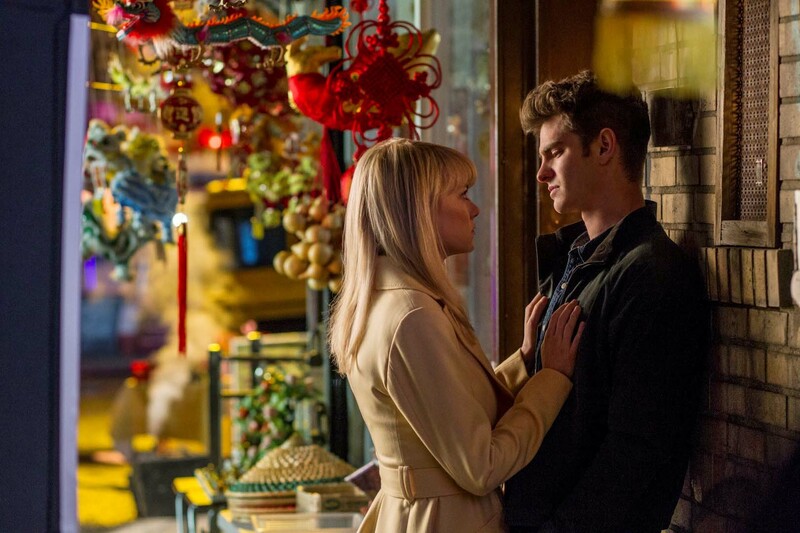 The Amazing Spider-Man 2 has hit UK cinemas to slightly mixed, but mostly positive reviews from critics (read our 5-star review here). 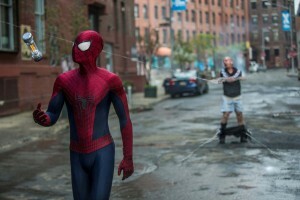 If you haven’t been to see Spider-Man ‘face his greatest battle yet’, then stop reading now and come back when you’ve seen the film (see 5 reasons why you should see it here), because here we’re looking ahead to his next adventure and what we’d like to see in The Amazing Spider-Man 3, which means full spoilers for number 2. Shailene Woodley’s Mary Jane Watson was cut from this film, and it’s clear they made the right decision. It would have felt wrong to include any form of relationship between Peter and Mary Jane during this film, and would have taken away from the impact and significance of Gwen’s death. That said, MJ is of course an important character in Spider-Man history, and one we are almost certain to see in the sequel. Peter moving on to be in a relationship with her in the next film would still be too soon. Introduce her, sure, but don’t put her and Peter together just yet. The Amazing Spider-Man 2 was very comic book-y in its dialogue and some key moments (such as Electro’s origin scene, every scene with Paul Giamatti). Whilst this was fun, it seemed slightly at odds with the more emotional moments of the film, which were handled brilliantly. We’re not suggesting they take out the comic book-ness and Nolan-ise it, though if they are trying to take a darker route, as they suggested when making the first film in this new series, then it would be a good idea to steer clear of some of the more campy elements, in favour of more realism. Electro was pretty powerful in The Amazing Spider-Man 2, but ultimately Spider-Man seemed to beat him pretty easily. The final battle, above a power station, was over pretty quickly, and it was only through Green Goblin getting involved and putting Gwen in jeopardy that it really tested Spider-Man. It was a criticism of the first film that the villain (The Lizard) wasn’t strong enough, and it’s a case of the same again here. It must be tricky for the filmmakers to choose which Spider-Man stories to re-tell so soon after the last trilogy – which featured Green Goblin, Green Goblin Jr, Dr Octopus, Sandman and Venom – so they’ve tried including a few villains we haven’t previously seen, which is a good decision. The problem is that they haven’t been interesting enough characters, or seemed powerful enough on their own to defeat Spider-Man. 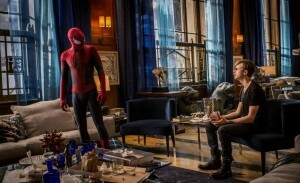 The lack of strong enough villains possibly contributed to them throwing too many villains into The Amazing Spider-Man 2 (and the same with Spider-Man 3), with Rhino, Electro and Green Goblin, as well as the human enemies. Harry’s Green Goblin is very much still active at the end of the film, but he gave Rhino his suit for the ending, and we saw little hints to both Dr Octopus and Vulture. There will be a Sinister 6 movie soon, as well as Villain-centric films, so they need to balance the villains they have in the movie, whilst giving us enough tidbits of other villains to get excited for. Green Goblin is strong enough (and Dane DeHaan is easily good enough) to be the primary villain in the next movie (possibly with the help of number 4 on our list) but don’t be surprised if they throw a couple more villains into the mix. With the last point in mind, it may seem strange we’d like Black Cat in the sequel. Felicity Jones had a blink-and-you-miss-her role as Harry Osborn’s PA, Felicia Hardy, who comic book fans will know goes on to become Black Cat. Black Cat has an interesting relationship with Peter in the comics, but it seems like she will be very close to Harry, at least initially, in any future movies. Felicity Jones is a brilliant actress, so we’d like to see a lot more of her in the sequel. 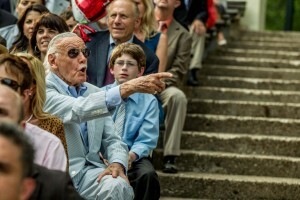 Okay, this isn’t a big issue, but the Stan Lee cameo has become an important moment in Marvel films, whether they are from Marvel Studios, Sony or Fox, despite it being an essentially throwaway in-joke for fans. The first Amazing Spider-Man featured a brilliant cameo which had Lee in the foreground in the library with headphones on as Spider-Man and The Lizard smashed the place up in the background. It was a shame, then, that his cameo in The Amazing Spider-Man 2 felt a little flat in comparison. 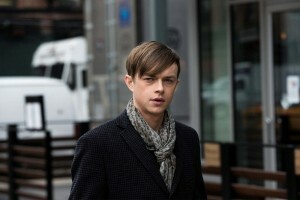 He shows up at Gwen and Peter’s graduation, and makes a comment along the lines of ‘I know that guy!’ about Peter. This works as an in-joke, but within the plot of the film it doesn’t make as much sense. The Amazing Spider-Man 2 is in UK cinemas now.